The five most expensive condos in downtown Miami have several things in common, the most noticeable of which is that they are all located on Biscayne Boulevard. There is no surprise in that, as downtown Miami condos are some of the most luxurious and amazing. 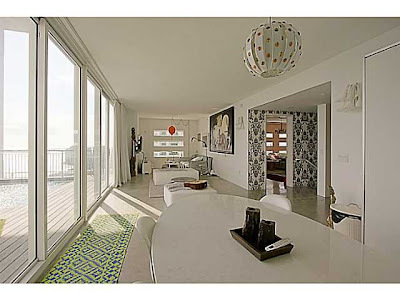 Two of our top five are located in the 900 Biscayne community and two at Marquis. We thought it might be fun to take a look at these homes and the communities that contain them. 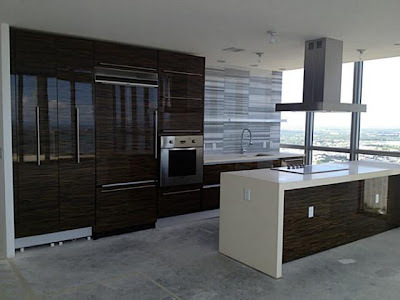 Listed at $2,850,000, number five on the list of most expensive condos in downtown Miami is located at Marquis Residences, the tallest residential tower on Biscayne Boulevard. The Biscayne Beacon at the peak of the glass-sculpture-like building is just one of the impressive brainstorms of the famed architectural firm Arquitectonica. Our number five residence is a two-floor penthouse that features 4 bedrooms and 4.5 bathrooms in 3,800 square feet of living space. It offers inspiring views of the city, the bay and the ocean. With a sleek and modern interior, this unit also boasts a European kitchen and marble in the bathrooms. Our next luxury condo is also located at the Marquis and is listed at $2,995,000. A two-story home, it features the same 4 bedrooms, 4.5 bathrooms and 3,800 square feet of living space as the aforementioned home and the same breathtaking views. One of the highlights of this incredible home is the media room with a 63-inch plasma screen and blu-ray. The master bedroom is located on the top floor and features two master bathrooms. In the middle of the list of five most expensive downtown Miami condos is a home that boasts of being the most expensive of them all on a price-per-square-footage basis. While the other four homes are priced between $700 and $788 per square foot, this home, located at 900 Biscayne Bay, is priced at $1,138 per square foot. This home is being offered at $4 million. 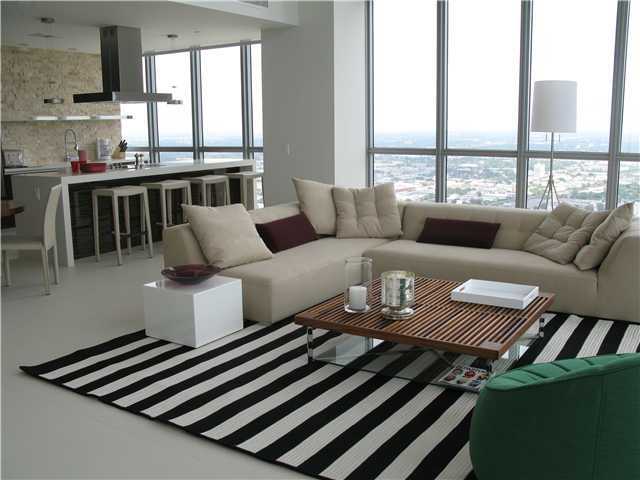 Stepping up a bit in price brings us to the second most expensive condo in downtown Miami. Located at the prestigious Ten Museum Park, this penthouse home has 5 bedrooms and 5.5 bathrooms on three floors in 6,000 square feet of living space. The private swimming pool and amazing views are just two of the features the interior designer/owner loves about this home. It is offered at $4,200,000. 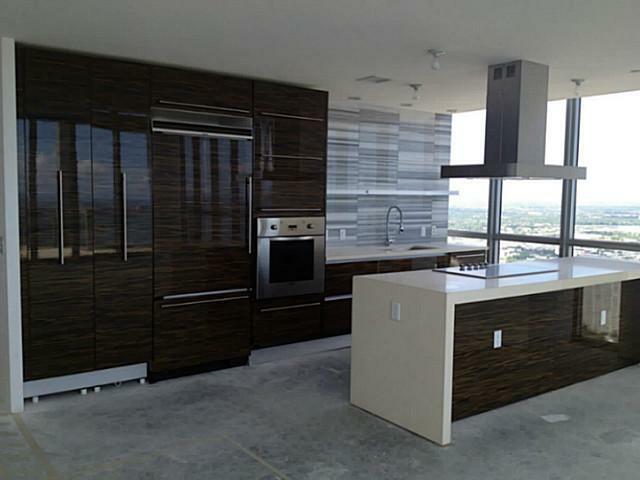 Currently, the most expensive condo in downtown Miami is listed at $4,400,000. This 900 Biscayne Bay penthouse is the largest residence in the building, with 5,650 square feet of living space. You’ll find 5 bedrooms (all with views) and 5.5 bathrooms, on one level. There is an oversized European kitchen and a large living and dining room in this open floor plan. We are happy to set an appointment for you to tour any of these amazing homes.